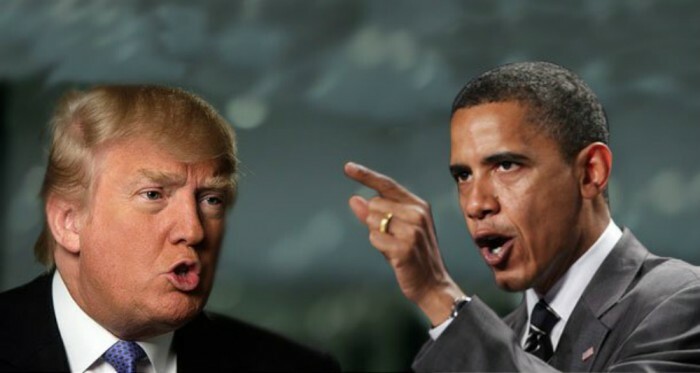 Trump Wants to Track Money Being Sent Home by Illegal Workers Obama Says “Good Luck with That”! The first thought that came to mind when I heard President Obama say “good luck with that” about Donald Trump wanting to track money illegal workers send back to their home countries, was that the President has likely never had the luxury of an exceptional executive assistant; one who understands the value and need for systems, knows how to implement them and knows how to keep them running effectively and efficiently. Hear me. I said, knows how to implement systems and keep them running. I’m trying to comprehend how the leader of the most powerful nation on earth can’t conceive of a system that can track money being sent internationally by a firm such as Western Union. I’ll bet you any of my previous bosses, when presented with such a situation would have said “let’s ask Jan if that’s possible”. Or, “Jan, find out how we can get this done.” If the President had an assistant who didn’t cut their secretarial teeth in the public service, an assistant who is grounded in fundamental secretarial know-how, accustomed to implementing systems and solutions from the ground up, and keeping track of projects, the President would consider the ability to “track” rudimentary, because he’d seen his assistant do it again and again. Yes, I know what you’re thinking. “Jan, are you seriously saying that the President of the United States doesn’t have the highest caliber of assistant available?” Yes, I am saying that, because as I state in my book, “The CEO’s Secret Weapon How Great Leaders and Their Assistants Maximize Productivity and Effectiveness”, most executives don’t have a clue when it comes to selecting an effective assistant, and the HR teams or personal networks that help them to find their assistants are often clueless as to the specific requirements of the role as well. Unfamiliar with the specialized requirements needed to support an executive at the highest levels, they use baseless criteria to make their selection. If you consider the President’s background as a Chicago community organizer for 3 years and 3 years as a senator from Illinois, it’s not hard to understand that this experience would be insufficient to help him evaluate the requirements for having an assistant with practical know-how, who is thoroughly grounded in the nitty- gritty of the day-to-day tasks of an in-the-trenches assistant, a role so familiar to high-performing assistants to seasoned executives. It takes me back to the 9/11 terrorist attack on New York City. I was shocked by the lack of coordination between the responding agencies. I kept asking myself “don’t these agencies have competent assistants?” If they did, they would have known in advance that this was a problem that needed to be rectified. If any of those departments had the benefit of superstar assistants like the ones I reference in my book, these flaws would not only have been made apparent, they would have been rectified and averted. I’m not saying the assistants would have fixed the technical problems. Speaking from experience I’m saying at least one of them would have said “who’s responsible for this? We need to get this handled or there’s going to be a catastrophe.” They would have brought the situation to the attention of whoever was responsible for getting the problems fixed and would have stayed on top of it until they felt certain the problem was rectified. That’s how exceptional executive assistants are. They don’t rest until they know problems have been handled and potential disasters have been averted. Every top executive assistant knows the value of cross-referencing systems. They know that if there are numerous parties involved in a transaction, their systems must have a way to cross-reference and cross-communicate between all parties. In addition, there must be a hub that is responsible for coordinating between all these diverse parties. Every exceptional executive assistant is constantly alert for glitches in the system. They detect them, they bring them to the attention of their boss, or whoever is responsible for fixing it and they make sure the problem is handled. I understand that with government there are too many layers. Too many processes, too many channels to navigate in order to get approval for simple things. But, I know that in private industry, assistants have clout with their bosses and they are expert at pushing through bottlenecks and getting results. Surely assistants to bureaucrats in the public sector are capable of exerting the same clout? I can recount numerous discussions I’ve had with fellow EAs when I’ve found inter-departmental, or inter-company lapses in protocol and procedures and we immediately discussed how to get them resolved. Every assistant understood that not fixing these inter-related deficiencies could cause serious challenges in the future. Obviously not as life threatening as the 9/11 situation, but certainly troublesome, or potentially hazardous for the company. So where are all the exceptional executive assistants in the various government agencies? I have a niggling suspicion idiotic recruiting practices make it such that the government will never have the very best executive assistants. When I was researching my book, I decided to apply for a job as an executive assistant to the head of a city governmental agency. I wasn’t intending to take a job, just to go through the recruitment process. The test went for 1 hour and you can’t believe the absurd questions they asked on the test. Most had no practical application for the daily practices of an executive assistant. The test gave terrific insight into why governments make the stupidest decisions. One of the questions asked us to calculate how many sheets of paper there were in a box so we would know when to re-order paper for the photocopier. In all my years of experience as an assistant, and one who has supervised administration departments, I never had to calculate how many sheets of paper were in a box of copy paper so I could know when it was time to reorder. We simply kept an eye on supplies in the storage room and if we were down to our last box, we ordered more copy paper, or any other supplies that were low. We used a simple system for keeping track of supplies – common sense. Every assistant, regardless of the level of executive they are supporting, must have limitless amounts of common sense and be adept at execution. They must know how to get things done. They must be problem solvers who know how to think strategically. That means identify and analyze the challenge and find a solution. This is what a top EA is doing regularly. It’s why they are their executive’s secret weapon. They are constantly gathering and coordinating all manner of information, making certain obstacles don’t turn into disasters. They know how to put systems in place and they know how to evaluate the systems that will work best for the job. Mr. President, “good luck” with hiring yourself a savvy assistant with common sense, practical skills and know how that are fundamental requirements for high-level executive assistants in private industry. Once the assistant is in place, ask them how they would go about finding a solution to tracking money being sent overseas through Western Union. Or you could simply have your current assistant call up Visa, MasterCard or any of the international banks that facilitate wire transfers around the world, and ask them how they track money being sent overseas. Easier still, just ask your assistant to call up the IRS commissioner and tell him to levy a tax on each transaction. If he’s smart, he’ll enlist his assistant to help him. They’ll call up the assistants to the CEOs at Visa and MasterCard and together they’ll set up meetings to facilitate the tracking systems. Then, just like that, there will be a system for tracking the money and the only thing “good luck” will have to do with it is the good luck to have hired an exceptional executive assistant who could take control of this project. Jan Jones is the author of "The CEO's Secret Weapon How Great Leaders and Their Assistants Maximize Productivity and Effectiveness". She is president of Jan Jones Worldwide, a speakers bureau which evolved from her industry experience as executive assistant to author and peak performance strategist Tony Robbins, and ten years as exclusive representative for small business guru, Michael Gerber. Prior to that, Jan spent almost twenty years as executive assistant to successful businesspeople around the world.